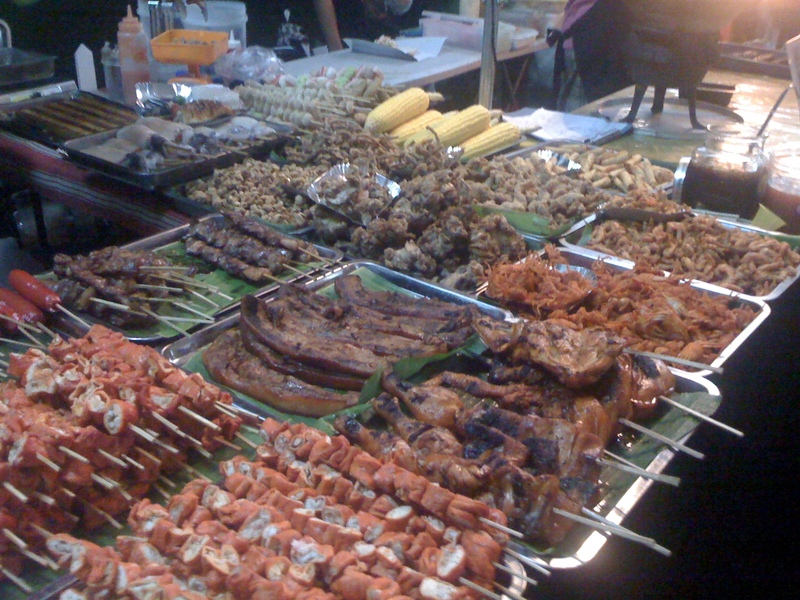 Usually when my family and I want to eat out during Friday or Saturday nights but can’t decide where to go, we head to Soderno Night Market at Molito Lifestyle Center since there’s lots of food to choose from here. 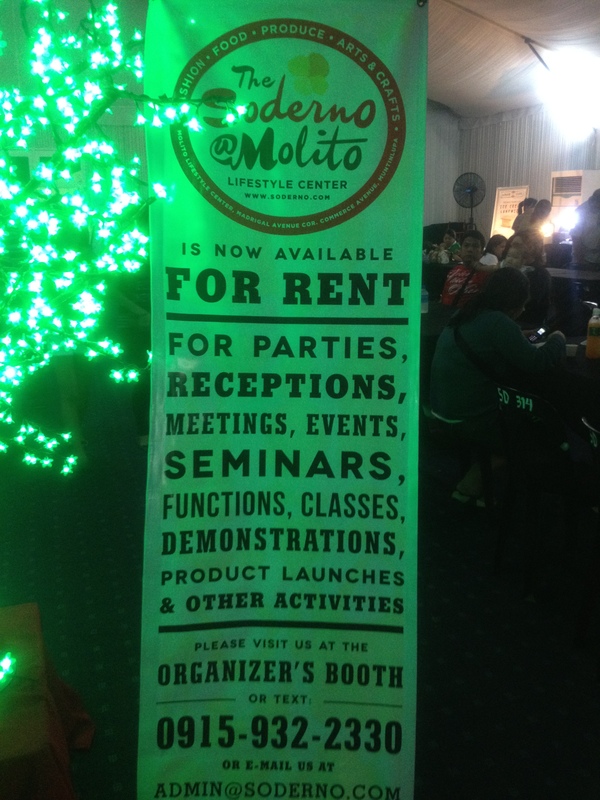 Soderno at Molito Lifestyle Center is the South version of Mercato Centrale at BCG. 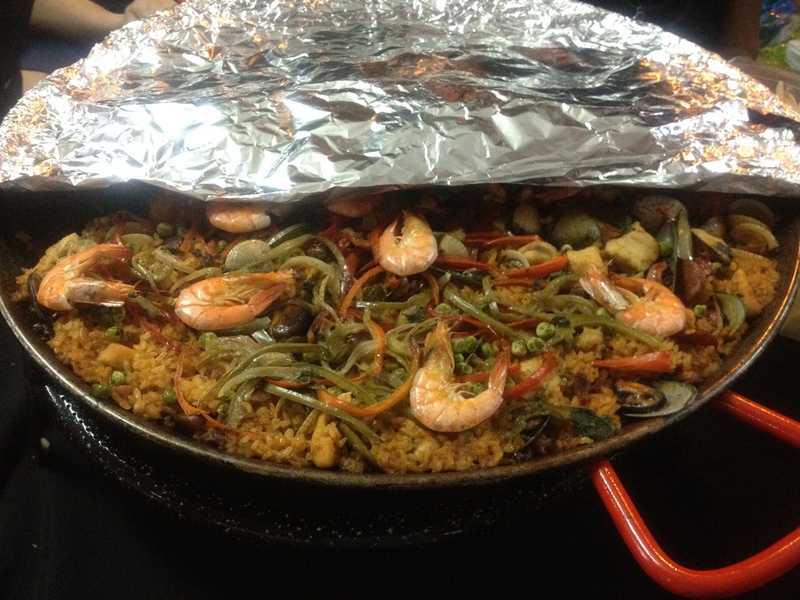 It was created as the newest food and lifestyle center in the South by the same people behind Mercato. It is currently a haven of emerging talents in fashion and arts, and the place to be if you are looking for new and unique food finds. Soderno runs on a very limited space so it can get a little bit crowded once people start coming. Despite the crowd though we usually end up with a seat right away since people just come and go till 3 AM. They don’t linger or stay, they are clearly there for the food and food alone. Enough tables and chairs for eating are arranged at the events hall where you can enjoy your food in the comfort of an air-conditioned room. This is also where some stalls selling assorted stuffs like RTWs, accesories and kiddie stuffs can be found. 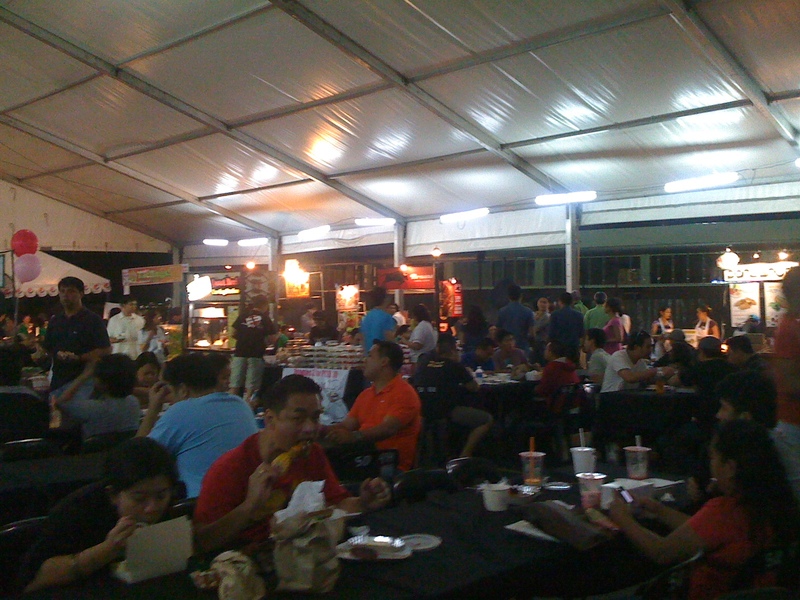 The food hall, where most of the food concessionaires can be found, is a big makeshift tent at the back of the events hall. There are also a few tables and chairs strewn all over this place as well at the back of it that patrons can use for eating. 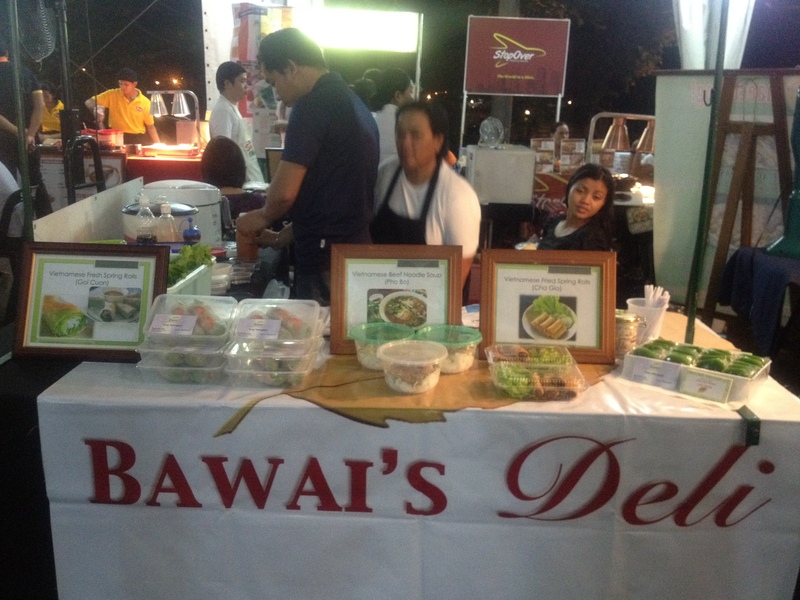 Most of the food prices here are quite reasonable, but then it is best to check out all the stalls firs before buying to get the best deal on your choice of food. Most of the food stalls offer a free taste too so you can check first how their food taste like before you decide to buy them. Overall, Soderno’s A-okay for food binging since it offers a wide variety of great tasting food, plus there’s free wi-fi. But if you’re looking for a cozy place to linger, enjoy and savor your meal in the company of your friends/family, this is not the place for you. You will definitely get hyped up with all the food around you, your tendency would be to check out the rest of the food populace and eat, eat, and eat. So if you’re on a diet also, you better stay away from Soderno Night Market and instead go there on Sundays for their organic and natural produce offerings or better yet, go there during your cheat days to make the most out of your day. :) If there are two things that I hope they can improve on though is their layout so there’s smooth flow people especially during peak hours. 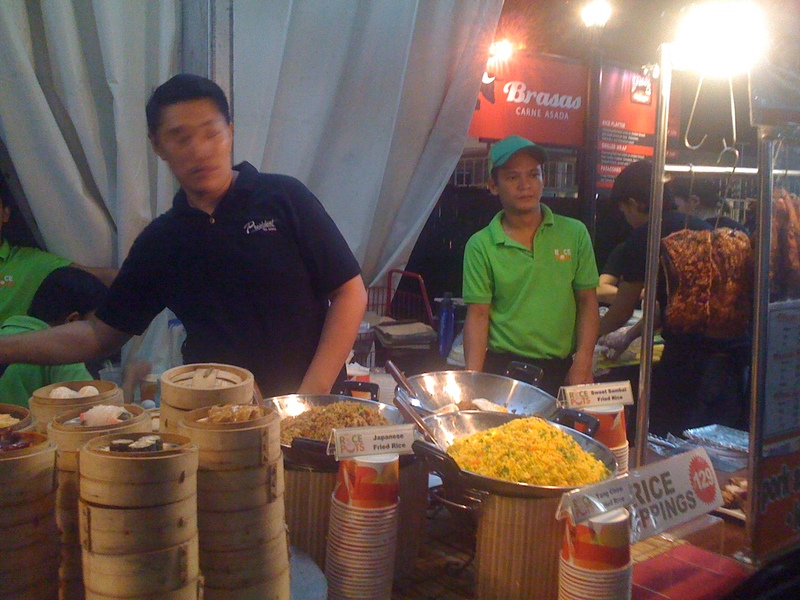 Plus, it would be nice if there’s some sort of order in the way the food stalls are set up, like all grilled food on this side, all the pastries on that side, and etc. As it is, they are just scattered all over the place. Other than those two, I must Soderno is indeed fast becoming the toast of the south when it comes to total gastronomic satisfaction. 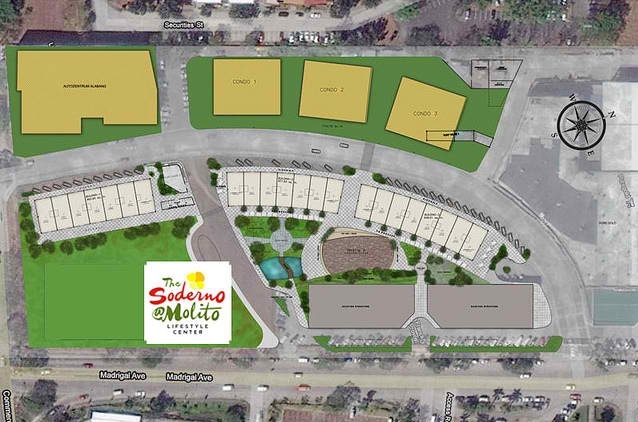 SODERNO is located at the Molito Lifestyle Center (the location of the former Big Bang sa Alabang) at the corners of Alabang Zapote Road, Madrigal Avenue and Commerce Avenue (in front of Alabang Town Center and Ayala Alabang Village). 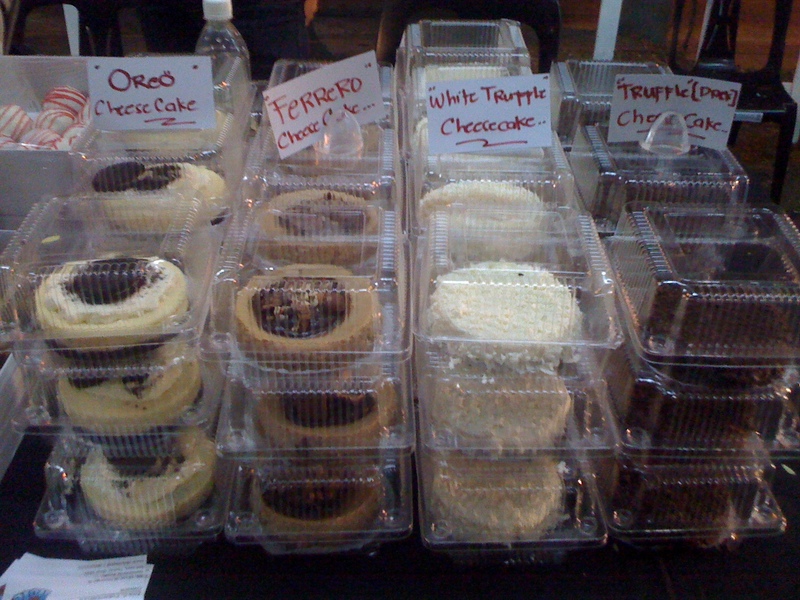 *SODERNO LIFESTYLE MARKET every SATURDAY (7am-4pm). The Lifestyle market is the place to enjoy fashion, arts and crafts and food. *SODERNO ORGANIC MARKET every SUNDAY (7am-4pm). 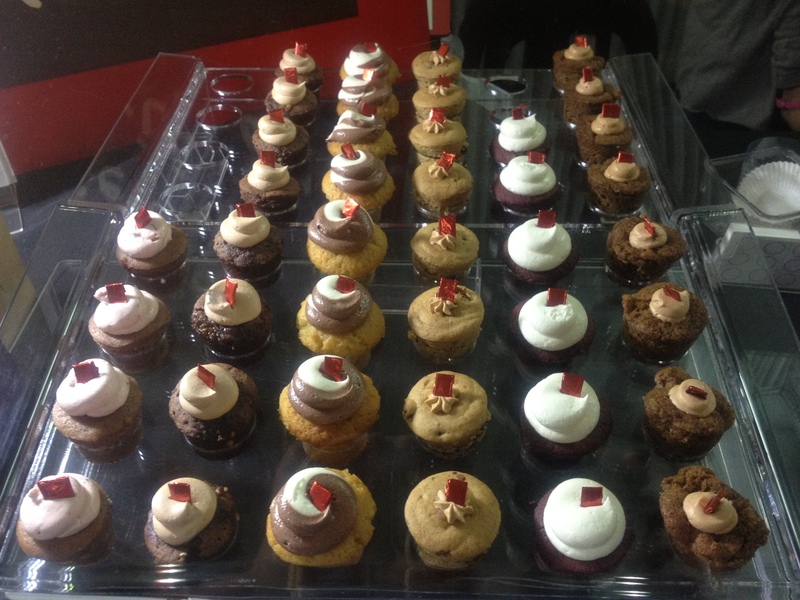 The Organic Lifestyle market is the place to go for food, organic and natural produce and eco-friendly products. 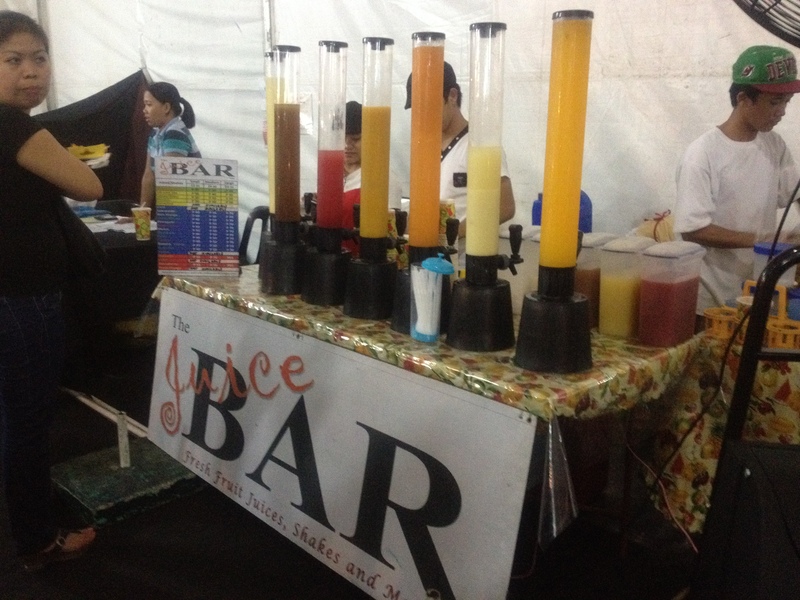 *SODERNO NIGHT MARKET every FRIDAY & SATURDAY (6pm-3am). 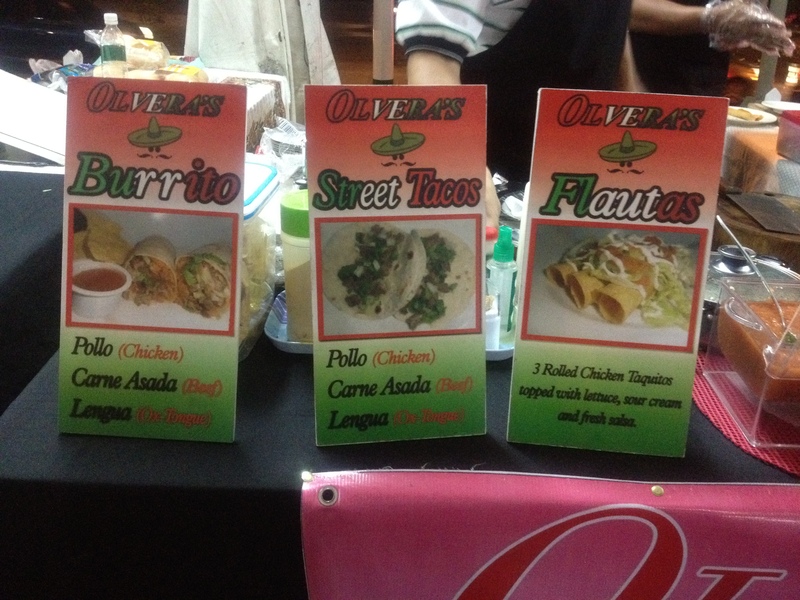 The vibrant Night market combines the best that each market has to offer: fashion, arts & crafts and, of course, food! Seems like I still don’t know Alabang yet. Gotta try going there. this is too far from my place that’s why sa blogs na lang ako nagrerely on how soderno is..
Para pala syang Bancheto where I used to go every week nung nasa Ortigas pa sya. Thanks for posting this. I will definitely check this one out. 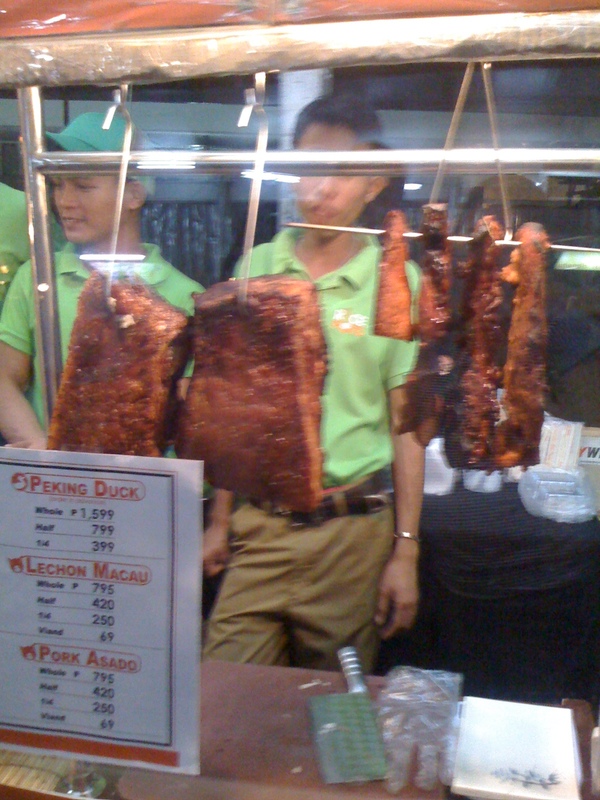 i like tiangge and food stalls kaya swak sakin ito! 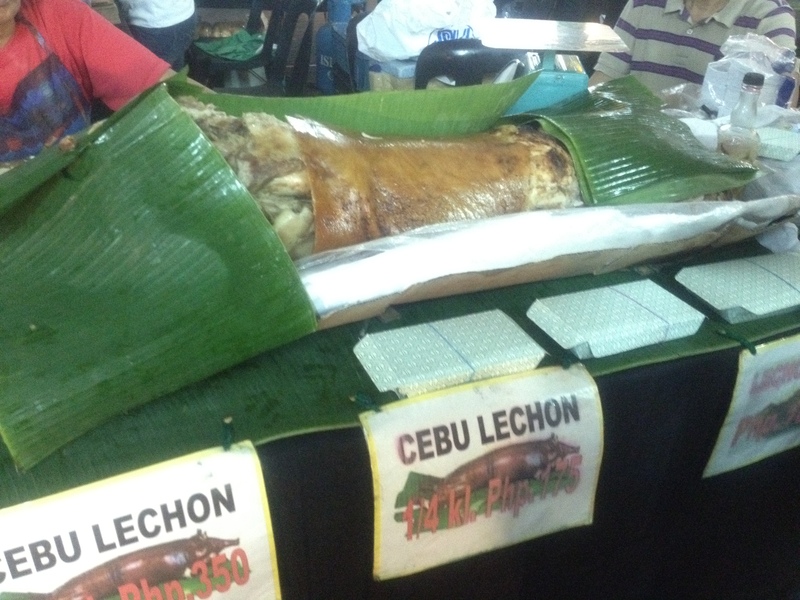 yummy cebu lechon! I was there last Friday with a date and the other Friday with my family. You’re from the South pala? I love Bawai’s deli. 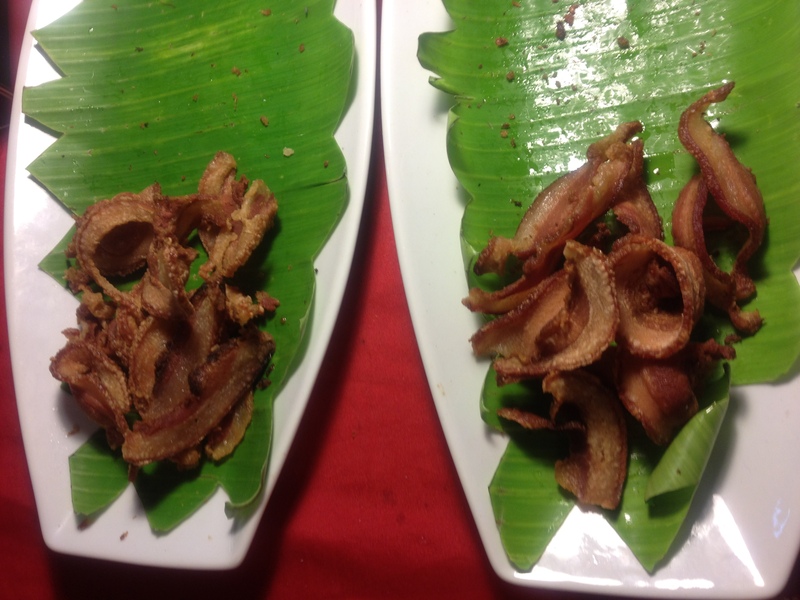 Sarap no? 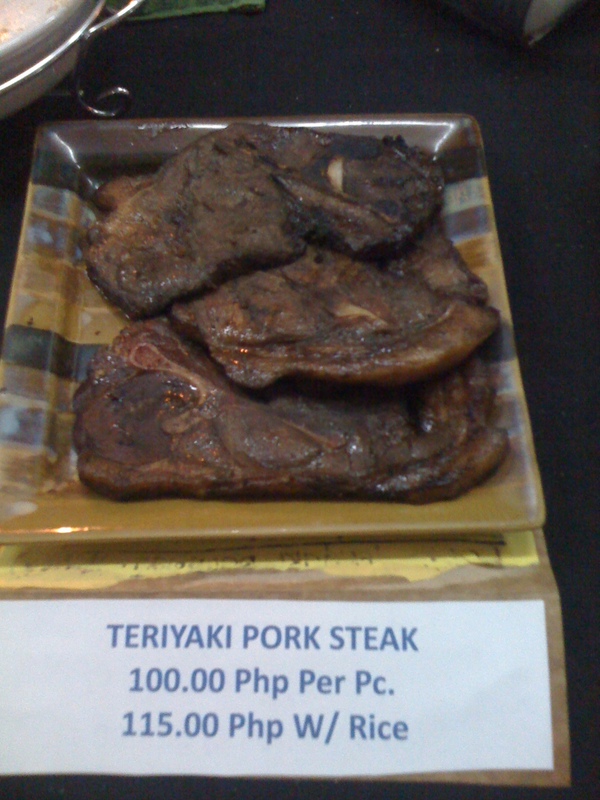 Mahal2x ng steak nila! Pero kung masarap na man eh sulit cgru. 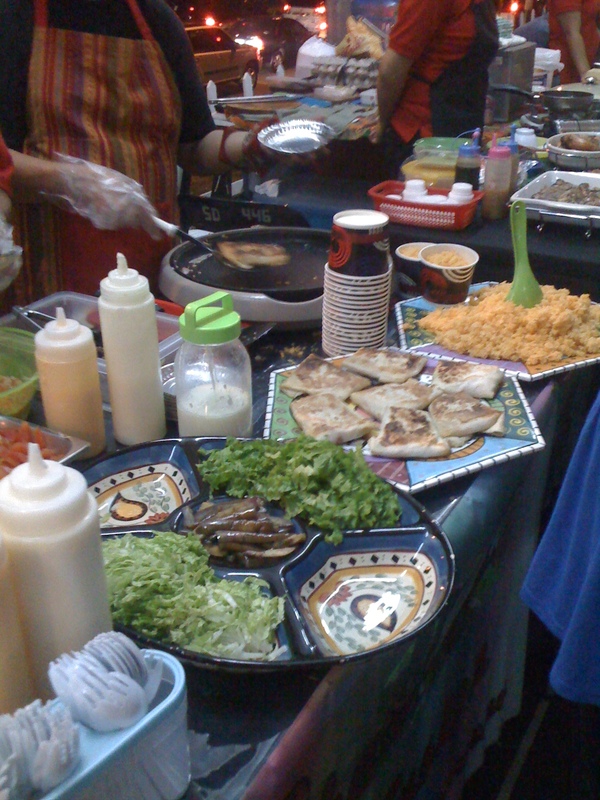 I lover night markets specially the food they offer. Thank you sa pag share. 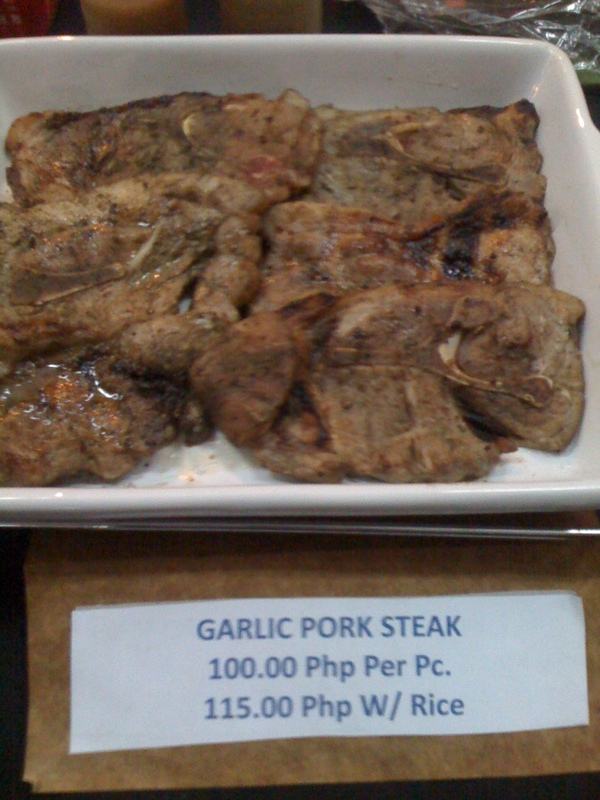 And I was thinking of dieting for get that summer bod..
kaka gutom talaga makakita ng food pics! Proper food trip! 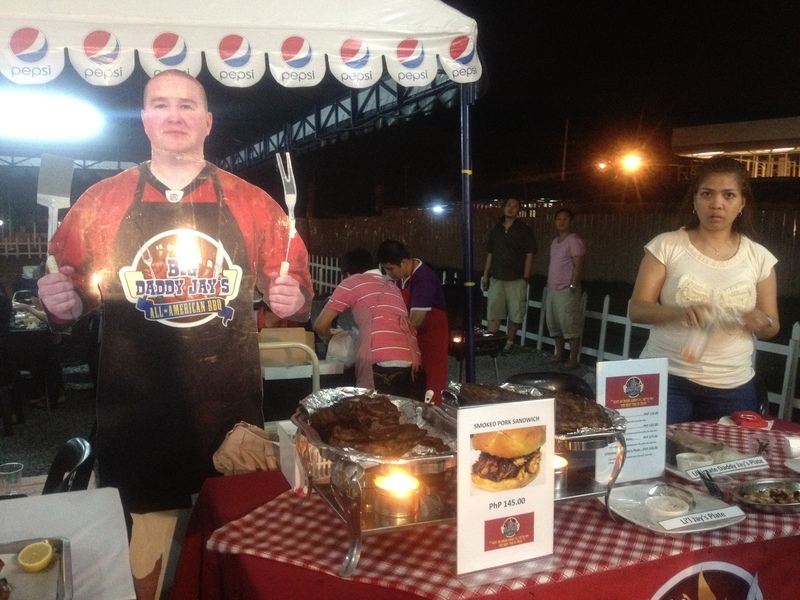 I’m a big fan of Cebu Lechon and bbq super sarap. Buhay Pinas nakakamis. I’ve never tried going to a night market before. Mga talipapa lang nararating ko haha. Nakakagutom…parang gusto ko uli maghapunan ah. 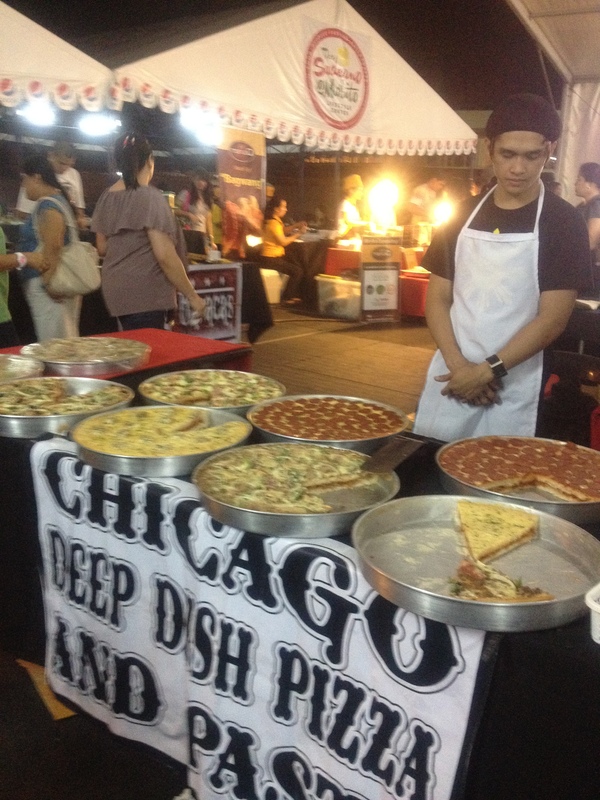 am craving for those pizza..andami and ang sarap…plus, the tacos too! I’ve been hearing a lot about Soderno. Too bad I’m from way up north. I dunno if a trip down south to visit Soderno would be worth it.. 🙁 What do you think? Cozy place and good food = perfect place to fill a stomach. Great Post.thanks for share..extra wait .. 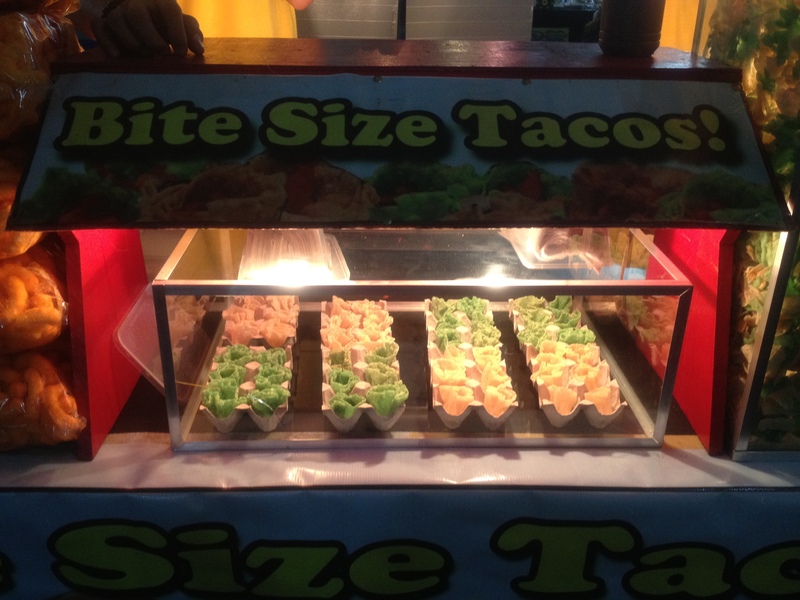 I am a great fan of street food. 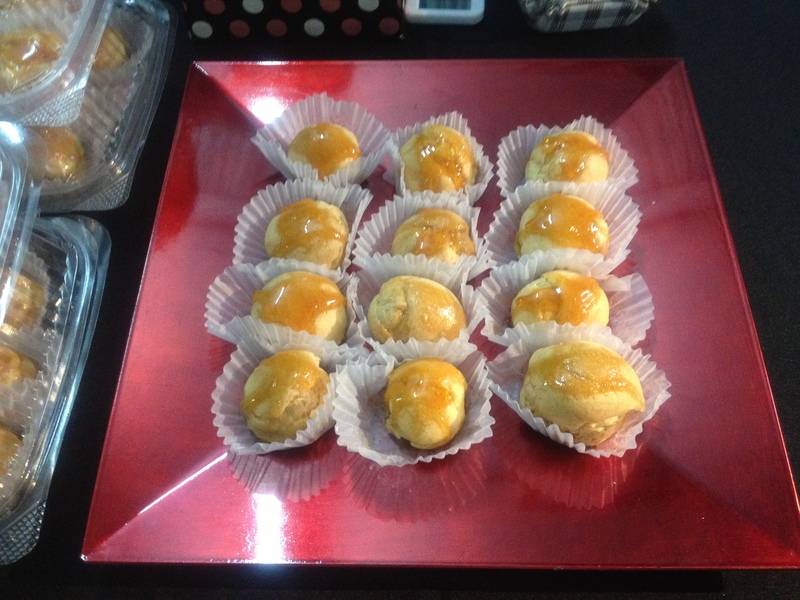 As always i love all kind of this food. This is too attractive for me. Thanks for the shearing.